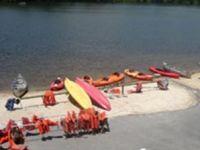 Find cool places to go row boating in PA. See places that rent row boats in PA or places where you can bring your own rowboat for some fun relaxing downtime. 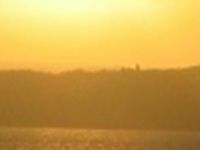 Experience the Allegheny With Foxburg River Tours! Foxburg River Tours makes it easy to explore the Allegheny River, as you paddle yourself down past big fish, along the banks lined with shrubs and green trees. The current is smooth, and perfect for paddlers of skill levels. This is a wondrous place to get away with the wife and kids, making memories as a family of Pennsylvania's natural splendor. The river trip you've always wanted is just around the corner with Foxburg River Tours making it easy, and affordable. You really don't want to wait to escape from the dull drudgery of an ordinary weekend; make it one to remember by getting out on the water as soon as you can! 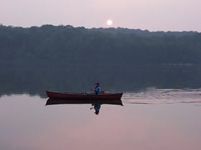 Historic Frances Slocum Lake Is a Perfect Place for Row Boating in PA! Majestic Launch rents row boats in PA to thousands of visitors every year on Frances Slocum Lake. The lake is a beautiful natural-preserve, home to all sorts of warm-water fish like bluegill, and large-mouth bass. Only row boats are allowed onto the lake, meaning the serenity is never disturbed by the firing of motors; this is the place to leave the modern world behind. Drift out over the water with your fishing pole, and enjoy the view unchanged by the passing of years. See the sun dip over the horizon with your special someone, relax with old friends, or show your children the value of our inherited earth for the first time. Rowing your boat over Frances Slocum Lake is truly an experience you won't forget. Splash Magic Makes Row Boating Easy! Splash Magic Campground's Dolphin Cove is a beautiful little lake your whole family will love; boat rentals are easy and inexpensive, the lake is always stocked with fish ready to be caught, no boating licenses are required, and all the equipment you need is waiting for you. Catch some sun while your boat drifts on calm water, leaving your mind to drift with it into the relaxation you've been waiting for. 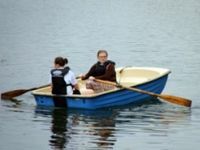 Splash Magic makes row boating PA the no-hassle experience it ought to be; so if you've been longing to get out on the water for healthy and wholesome fun, don't hesitate to call! You won't convenience and family fun quite like this anywhere else. French Creek State Park is Perfect for the Whole Family! 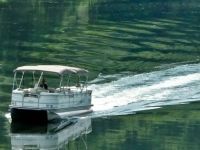 Rent a row boat in PA from French Creek State Park Pool & Boat Rental, and take it out over the serene waters of Hopewell Lake, for some of the best boating and fishing in the state. You won't be sorry once you're catching rays and drifting calmly with your fishing rod in your hand and a few cold ones in the cooler. Plus, it has just the right balance of sportsmen and boaters of all ages and skill levels that makes it perfect for the whole family. Don't lose this opportunity to create memories in the natural splendor of Hopewell lake that can last a lifetime. A little rowboat getaway is waiting for you, so don't hesitate! 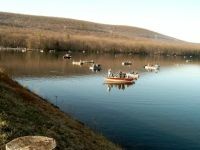 Beautiful Peck's Lake Graces the Pocono Mountains! A row boating adventure on Peck's Pond is just the thing you need to take the weight of the world off your shoulders. Out on the water, among the fish biting, and the birds singing, your cares will melt away! This is one of the most perfect places for row boating PA has to offer; it's secluded, wild, and serene. The staff at Peck's Pond have what you need to get you started, whether you need to pick up some gear, or you need a guide to steer you in the right direction. Plus there's no hassle - drop down any time to explore the stillness of the water and the natural atmosphere that surrounds it. Explore the Serenity of Evergreen Lake! 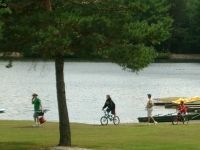 You'll find Evergreen Lake at the far edge of a secluded campsite, surrounded by natural beauty, tall trees, and the stillness of the Pennsylvania woods. Explore the calm water with an affordable boat rental, and you'll be able to paddle yourself out into a little retreat of your very own. Whether you're looking to fish for the day, or just drift away from your troubles, Evergreen has the soothing atmosphere you need. Don't hesitate: this little getaway is quick, easy, requires no prior booking, and won't break the bank. Evergreen Lake is one of the best places to go row boating in PA, and it's waiting for you! Shady Brooks lets You Paddle: Walker Lake, Faylor Lake, Middle Creek or Penn's Creek! When you rent a row boat at Shady Brook, you'll find something you won't find almost anywhere else: options. Shady Brook's rental is conveniently near to over four different lakes and creeks that you can paddle and enjoy. The largest of these is Walker Lake, owned by the state of PA, and drawing thousands of visitors every year for boating, fishing, and swimming. You can make your way over to Faylor Lake (which is slightly more compact) or even famous Middle Creek or Penn's Creek, where the waters move a bit faster. 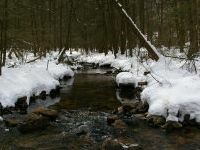 Their affordable rentals and location make it easy to enjoy the different scenes of the Pennsylvania wilderness, and all the natural beauty therein. Over Three Decades of Fun on Locust Lake! Locust Lake draws thousands of visitors every year from across the state to enjoy the beautiful boating and fishing opportunities it affords. 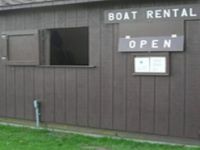 Renting a row boat on the lake couldn't be easier; their watercraft are reliable and inexpensive, the camp store is happy to accommodate, and the water is as gentle and easy as the still atmosphere of the surrounding forest and campground. If you can picture yourself enjoying the sun and breezes while you slowly drift along the surface of the water, then Locust Lake can put you two steps closer to making that dream a reality. Relax By Renting A Rowboat on Private Keen Lake! Keen Lake is a picturesque 90-acre lake, privately owned by Keen Lake Resort; it's a perfect place to paddle around for an afternoon, or get in a day of fishing. You only need to imagine yourself relaxing on the still water with your buddies or your family, rod in the water, and slight breeze in your face, to see why thousands rent their boats from Keen Lake every season. Their rates are reasonable, offered by the half-an hour, hour, or day to better accommodate your schedule. There's no hassle: just take a break from the hectic pace of life, and row yourself into a little serenity on Keen Lake! Let Greenway Outdoors Help You Get In Touch With Nature! Greenway Outdoors provides thousands of visitors to Memorial Lake State Park with an opportunity to explore the lake for themselves in a high-quality row boat! Prices are competitive, and remember that Greenway Outdoors puts your safety first. What better way is there to experience the natural beauty and still waters of Pennsylvania, preserved just as they were hundreds of years ago, than to paddle yourself out to middle of the lake, and let yourself drift peacefully towards the banks? Set your own pace on the water, (you can even fish too!) and bring your buddies or your family to share in the memories forever. Let Greenway Outdoors help you escape the hustle and bustle of the modern world for a bit, and get in touch with nature.